Don’t miss the 2019 NCLA Regional Security Trade Show on February 9, 2019. Hours are from 9:00 am until 2:00 pm. The Hickory Metro Convention Center, 1960 13th Ave Drive SE, Hickory, NC 28602 is the place to be, whether you’re interested in commercial, automotive, residential or safes! Look for Medeco, Ilco, Assa Abloy. RCI, Strattec, CompX, Hata and dozens more exhibitors as well! Admission is free for NC Locksmiths Association, Inc. members. 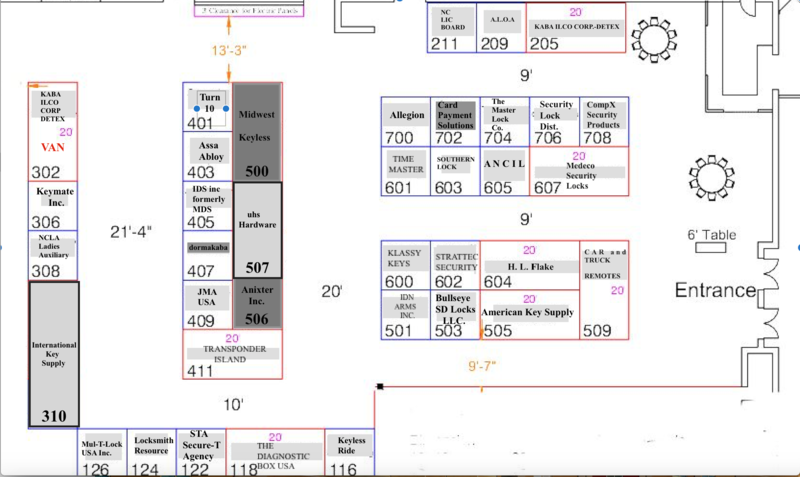 If you are a manufacturing company or a supplier wanting to come & exhibit your products, contact Ron Cox, Trade Show Chairman, at [email protected] For non-member locksmiths, admission is $20, with a $5 discount with proof of membership in any recognized national or regional locksmith association. The NC Locksmiths Association has over 275 members who we expect will all be in attendance & excited about learning about new products being exhibited. Come join us and be part of our "family"